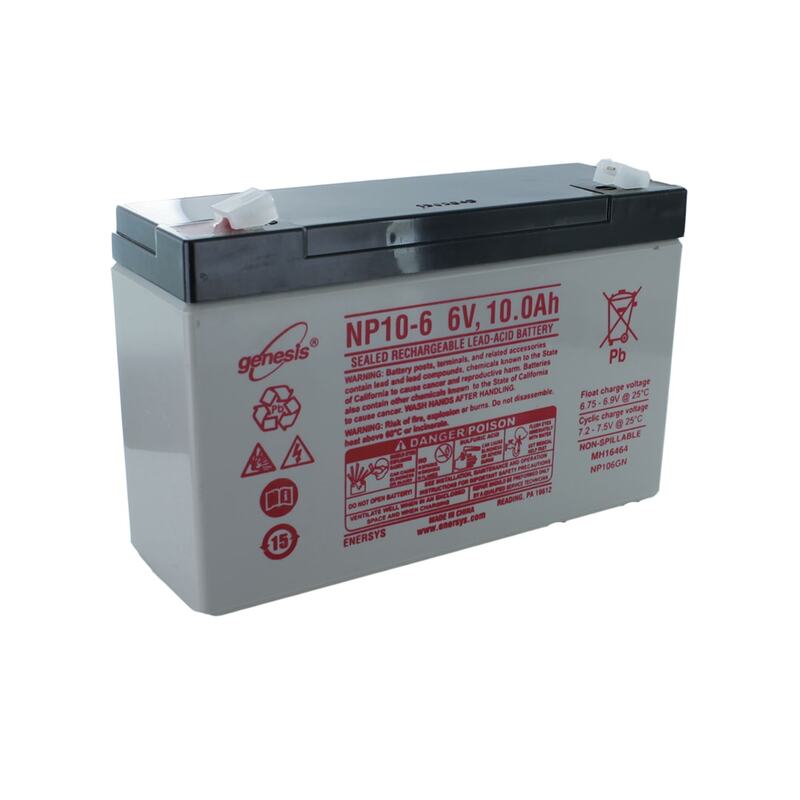 The EnerSys NP10-6 is a 6V, 10Ah, maintenance free rechargeable sealed lead acid battery ideal for stand-by power applications. This battery can be mounted on its side with no performance loss. This product is a part of the Genesis range by EnerSys.